Does Carb Cycling Helps In Weight Loss and How to Practice it? With the rise in the incidence of Obesity, the field of nutrition has gained a lot of attention from researchers and scientists regarding the understanding of the metabolism of the macronutrients (carbohydrates, proteins, and fat). Some different types of diets have been proved to be effective in weight loss. These different types of diet are based on the manipulation of the understanding of the metabolism of these nutrients. A few examples of these diets include a high protein-low carb diet, low- fat diet, high fiber diet, among others. However, in the past years, the intake of Carbohydrates has mostly experimented on weight loss. This brings us to the topic of discussion- Carb cycling. Why Carb Cycling For Losing Weight? Benefits of Low carb diet In Weight Loss? Adverse Effects of Prolonged Low-carb diet: Do We need High Carb Diets? Carb Cycling Diet vs. Low-Calorie Diet: Who wins? How to Practice Carb Cycling For Weight Loss? Carb cycling involves cyclically managing your carbohydrate intake. In this type of diet, low carbohydrate or even no carb days are alternated with days of high carb consumption. No direct evidence is available stating the effects or understanding of carb cycling. However, we can achieve an understanding of carb cycling by studying the effects of low carb diets and high carb diets. To understand this concept and its working one must first understand the requirement and metabolism of carbohydrate in the body. Carbohydrates are the primary fuel for the body; they are present in bread, rice, whole grains, milk, fruits, vegetables, etc. Carbohydrates are converted to glucose and ultimately stored as glycogen and fat in the body. Hence, carbohydrate restriction leads to short-term weight loss. If you are wondering why we need carb cycling for weight loss when low carb diets are proven to be awesome for weight loss; then you must read this. Almost 70% of our diet is composed of carbohydrates. Also, carbohydrates that are ultimately stored as glycogen require water for their storage (i.e. they are stored in the hydrated form). For 1 g of glycogen, 3 g of water is stored by the body. Thus, immediate weight loss results are seen because of water loss when one switches to a low carb diet as the body starts utilizing the stored glycogen because the dietary intake of carbohydrate is restricted. Along with this, it has also been proved that a low carb diet has beneficial effects on heart health provided that the protein and fat sources in such diets come from good sources since low carb diet is accompanied by increased intake of proteins and fats1. Good sources of fats and proteins include foods rich in Polyunsaturated fatty acids (PUFA) and Monounsaturated fatty acids (MUFA) like almonds, walnuts, avocado, flax seeds, etc. good sources of protein include Fish, chicken, beans, legumes, quinoa, etc. Studies have suggested the better efficacy of low-carbohydrate diet over low-fat-diet. One such study concluded that a low-carbohydrate diet leads to greater weight loss compared to a low-fat diet. It was also found that the adherence to the low-carb diet was better than to low-fat diet. There was an increase in HDL levels and decrease in serum triglyceride levels in the low-carb diet as compared to the low-fat diet. The facts mentioned above conclude that a low carb diet causes immediate weight loss and there is no reason why one shouldn’t follow it. However, there are two sides to every coin. Carbohydrate-rich foods are also rich in fiber and other important minerals and nutrients that aren’t present in proteins and fats. The deficiency of which can cause serious health implications such as constipation (even piles in severe cases), loss of appetite, lethargy, vitamin deficiencies2. Also, a low carb diet for a prolonged period (longer than six months) may cause ketosis2. When one is on a low carb diet the dietary intake of carb is reduced which is the primary source of fuel for the body, so the body then shifts to the glycogen stores of the body. Once these stores are depleted, fat becomes the new source of energy. This means that your body starts breaking down fat which does cause weight loss but the byproduct of fat breakdown is ketones. The accumulation of these ketone bodies over a period leads to the formation of an acidic environment in the body which has serious health implications. Another important thing to keep in mind is the insulin levels. As mentioned earlier the ingestion of carbohydrates causes the release of insulin that causes fat storage leading to weight gain, so another aim of low carb diets is to keep the levels of insulin low. But other negative effects of prolonged low carb diets include urinary calcium loss, lean body mass loss, increase in low-density lipoproteins(LDL), Kidney damage, Heart arrhythmias, etc. Thus, we can say that prolonged or long-term consumption of low carb diets for weight loss can be detrimental to health. In fact, researchers have shown that prolonged low carb diets cause weight gain, high cholesterol, osteoporosis, bowel problems, etc. This is where Carbohydrate cycling comes in the picture. The above-stated facts answer the question- Why carb cycling and not the conventional low carb- low-calorie diet? Since it alternates between the high carb and low carb intake days, it helps in overcoming the negative effects of long term low carb diets while helping us sustain the weight loss. There is evidence that suggests that post-exercise (especially resistance training) the intake of carbohydrate is important as it increases net muscle protein synthesis. Hence, the consumption of a high carb diet is recommended on training days apart from the fact that it is the primary fuel for the body. This is not to say that carb cycling the best and most efficient way to lose weight; it requires meticulous planning and precision for results to show. It is mostly recommended for athletes and bodybuilders. Wherein they train during their high carb intake days and rest during the low carb/ no carb days. Now coming to the number of carbs to be consumed during the high, moderate, low carb days. Carbohydrate intake- 4.5-5 g per kg of body weight. Protein intake- 2 g per kg body weight. Fat intake- 0.35 g per kg body weight. Carb intake- 1 g per kg body weight. Protein intake- 3-3.5 g per kg body weight. Fat- 0.75 f per kg body weight. Carb intake- not more than 30g PER DAY. Protein intake-3.3.5 g per kg body weight. Fats intake- 1.1-1.8 g per kg body weight. The number of high carb, low carb and no carb days dictate the physical activity levels or training days in case of athletes or physically active individuals or vice versa. The carb intake days and a number of carbs to be consumed varies from one individual to the other mainly due to the difference in the body composition, their goals, and preferences. It is completely tailored 11. 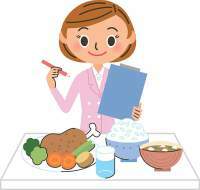 Carb cycling may be a part of special diets such as Dr. Atkins diet or South Beach diet. Both these diets involve periods of low carbohydrate intake (2 weeks) followed by periods of high carbohydrate intake. The difference between the two is minor such as in the former the amount of carbohydrate is increased from 20 g in the low carb period to an additional 5 g per week till the person stops losing weight and the weight is maintained. However in the later carbohydrate intake is not as and is given in small portions in the form of bread, cereal, pasta after the two-week low carb period1. The quality of carbs consumed in the high-carb period is of particular importance, even though it’s a period of high carb consumption, good sources of carbohydrates should be given primary importance such as whole grains/cereals, fruits, vegetables. Avoid eating processed foods such as chips, canned fruit juices, etc11. The menu for this type of diet should be pre-planned and the high activity periods should be placed accordingly, or the diet should be made by the high activity periods so that high carb days align with them. It is important to remember that amount of high carb and low carb is not the same for everybody keeping in mind that the normal intake of carbs is different for everybody. It is also important to remember that during high carb days the protein and fat intake should be reduced and during low carb days, their intake should be increased. Even though we have discussed the advantages of alternating low carb diet with a high carb diet, there is no compelling direct evidence suggesting the efficacy of carb cycling for weight loss. Some researchers also say that glycogen stores of the body are strictly controlled (through humoral and/or nervous mechanisms), and their storage capacity in the body is limited implying that excess glycogen cannot be stored by the body and that its conversion to fat only occurs in extreme conditions. Another study suggested that the only basis for weight maintenance is energy balance. This means that only the imbalance between the amount of energy (calories) consumed and the amount of energy spent can cause weight gain or weight loss and it is immaterial whether what macronutrients are emphasized in that diet. Be it any diet it is imperative that you be observant how your body reacts to it. What works for one might not work for the other. Another important point to keep in mind is that Carbohydrate is not the enemy. It is after all the primary fuel for the body. So, when it comes to weight loss, the right attitude and willingness to adhere to a challenging regime and patience are key factors for weight loss that’s healthy and can be sustained. Can Quinoa Promote We​ight Loss?